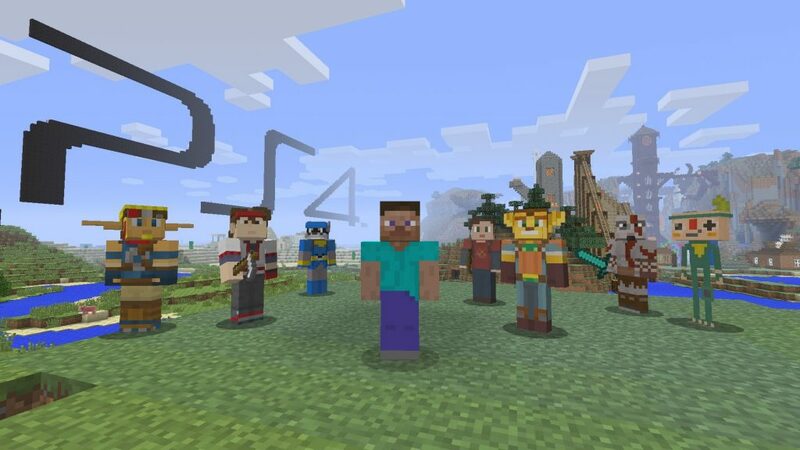 The latest Minecraft PS4 update is now live. Update 1.90 tweaks a few things to make the user experience smoother, but also adds some new trophies and cool stuff! Alongside new Minecraft items, there’s skins, blocks and textures to enjoy. PS4 players can also now attempt to unlock six new trophies! The full patch notes for update 1.90 can be found below. Added Minecraft Classic Texture Pack (Built in). Added the Ability to create dyed stained glass and dyed carpets directly from glass pane/white carpet + dye. Cats can now be healed by feeding them fish. Chorus Fruit Flowers now break when struck via an Arrow. Creepers can drop Records if they are killed by a Stray. Dead Bush can be used a Furnace Fuel. Decaying Leaves can now drop Sticks occasionally. Dispensers with Shears in them, will shear Sheep when activated. New Shapeless Recipes for Rabbit Stew and Beetroot Soup. Placing wet sponge in Nether and Warm Biomes will dry it out after some time. For more cool stuff from Mojang’s popular sandbox game, check out the best Minecraft maps for PS4.